I have always enjoyed seeing fossils in museums and gift shops, but I had no idea that it is possible to find your own. People go fossil hunting on the Jurassic Coast in England, but I didn’t think someone like me would ever find one. Surely, scientists and other tourists have found them by now? Still, how could we visit the Jurassic Coast and not even try? I was hoping we would be able to find some fossils, but Russell was a little more pessimistic. We decided to give fossil hunting a go in Lyme Regis, a town in Dorset on the Jurassic Coast. Worst case, we would spend an afternoon walking on a scenic beach. Let me tell you about our experience and what we learned about fossil hunting. Then you can decide if you want to go on a fossil hunting walk or try to find fossils on your own. What are the rules on fossiling on the Jurassic Coast? Where can you find fossils on the Jurassic Coast? When is the best time to find fossils on the Jurassic Coast? What type of fossils can you find on the Jurassic Coast? Do You Need a Fossil Hunting Kit? How do you get to Lyme Regis from London? The Jurassic Coast is the 96-mile section of the south coast of England from Harry’s Rocks in Studland Bay in Dorset to Orcombe Point near Exmouth in East Devon. You can find layers of sedimentary rock along the Jurassic Coast that shows the Earth’s history during the Triassic, Jurassic and Cretaceous periods – covering over 185 million years. In 2001, the Jurassic Coast area was named a UNESCO World Heritage Site, the first natural one in the UK. (In 2017, The Lake District became the second natural UNESCO site in the UK). One of the most famous paleontologists of all time was Mary Anning, who was from Lyme Regis. She found complete skeletons of an ichthyosaur, plesiosaur, and pterosaur along the Jurassic Coast about 200 years ago. You can see some of her discoveries in the Natural History Museum in London. *If you are planning a trip to the Jurassic Coast, check out my free travel planning checklist. Since this was going to be our first time fossil hunting, we decided it might be better to do a tour. That way there would be experts to point us in the right direction and help us identify anything we might find. The Lyme Regis Museum offers Fossil Walks which last three hours led by two expert guides, Chris and Paddy. The tour begins at the museum where we got an introduction from one of our guides, Chris. We had a nice small group, about 20 of us and even a dog. Kids can join the fossil hunting tours, but we didn’t have any in our group. We were on a mission to find some fossils! He started out by apologizing for the weather. Russell and I looked at each other and laughed. It was the perfect day – sunny, not too hot or cold, with a light breeze. Chris wasn’t joking though. For fossil hunting, you actually want bad weather because you are more likely to find fossils. I tried not to let this discourage me, I was determined to find at least one fossil. We walked towards the beach where we would be looking for the prehistoric fossils. I couldn’t wait to start my search, but first, we had to get a lesson in what to look for. We listened as our tour guides explain the different Jurassic Coast fossils we might find and gave us a few fossil hunting tips. 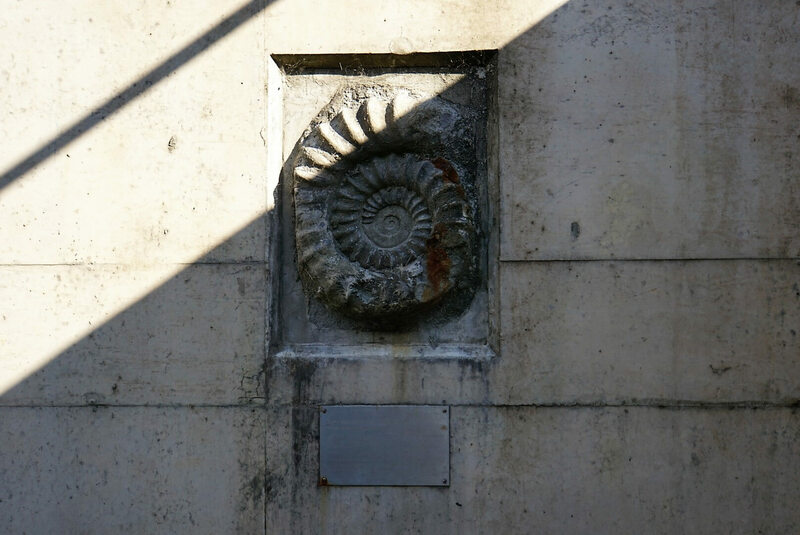 An ammonite found by our guide, Paddy, displayed on the stairs on the way down to the beach. I was impressed by the number of different fossils they mentioned and how frequently they were found. While one tour guide talked, the other went to the beach to see what they could find. It was helpful to see the examples up close, but I was eager to get started on the hunt. He also gave us some important safety instructions. We should stay away from the cliffs and look for fossils on the beach. The cliffs are known to fall (occasionally) and you don’t want to be by them when it happens. He also told us that we should not use a hammer on the rocks without safety goggles. No one on the tour had brought any tools along so we would leave the hammering to the experts. Finally, we walked down to the beach to look for fossils. There was a huge ammonite on the wall of the stairs going down. Upon closer examination, I realized that it had been found by our tour guide, Paddy. I knew we were with guides that knew what they were talking about! Chris was still explaining more about what to look for, but I found it difficult to concentrate on anything other than finding fossils. My eyes kept focused on the ground, and I picked up anything that looked interesting to examine further. I was thrilled when I found what looked like one of the example vertebrae that we had seen in our lesson. I called Russell over to get his opinion. He agreed and suggested I take it to Chris to get his expert opinion. 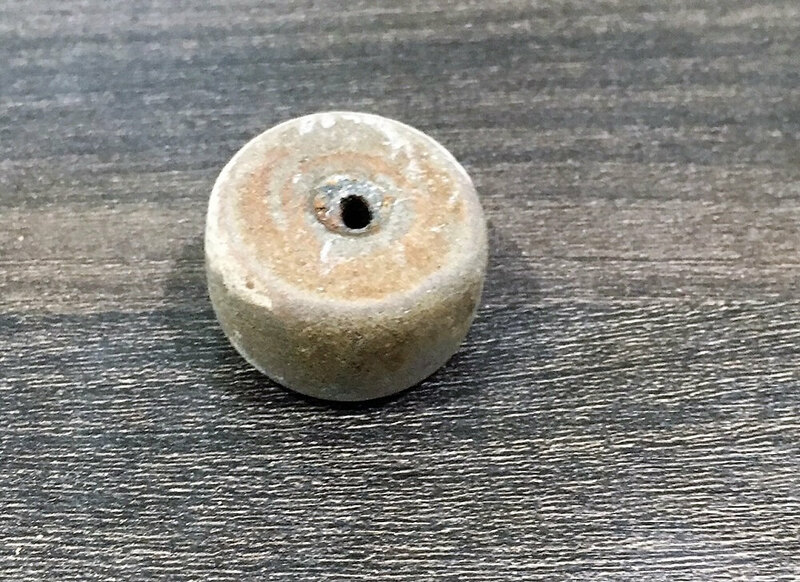 Chris agreed that it did look like a backbone but told me that unfortunately, it was a wheel from a shopping cart (or trolley as they say in England). I was crushed and a little embarrassed but still determined to find a fossil. We had plenty of time left. What I thought was a backbone was actually the wheel from a shopping cart! The fossil I found – an ammonite! 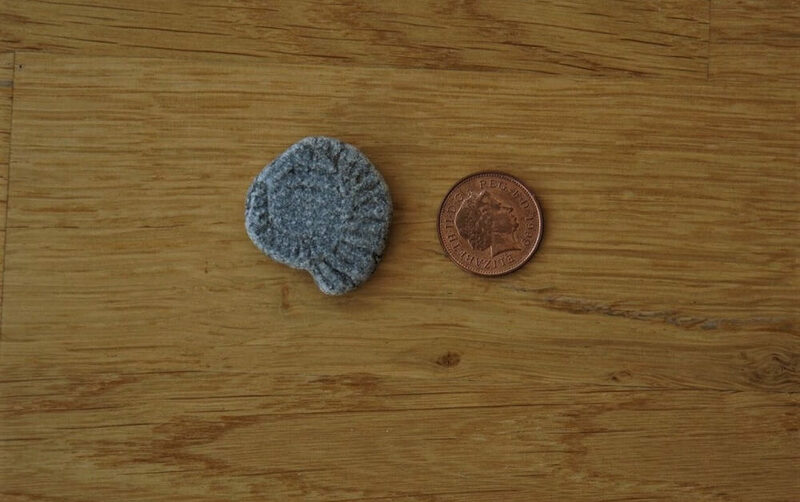 I added a coin as a size reference. We kept walking further along the beach and it got a bit rockier. It was challenging watching where I was stepping, looking for fossils, and making sure I didn’t lose the group. It wasn’t too much longer until I found what I thought was an ammonite. Again, I called Russell over first. He agreed it looked like a fossil so again I chased down Chris, hoping I would get better news this time. Yes, he confirmed I had found an ammonite. I was thrilled. Against the odds, I had been able to find a fossil! At the end of the walk, we met back up with Paddy who had been searching for fossils on his own. He had a bunch of rocks that potentially had fossils in them. Chris started wrapping up the tour, while Pat hammered away at the rocks. They told us the average was that about one in six of these rocks would have a fossil. We didn’t exactly count but I think the average ended up being less than that. The fossils that were found were shared with the group so that no one went home empty handed. Note: The tour ends about a 30-minute walk away from the museum. Your ticket for the fossil tour also includes admission to the Lyme Regis Museum. The Lyme Regis Museum is built on the site of Mary Anning’s former home. You can learn about her amazing life story and see their world-class fossil collection. They also have displays explaining the town’s history and literary connections with Jane Austen and John Fowles. The museum was expanded in 2017. In addition to the fossil walk, the Lyme Regis Museum runs gallery talks. Children 5 and under can visit the museum for free and there are special children’s activities throughout the year. 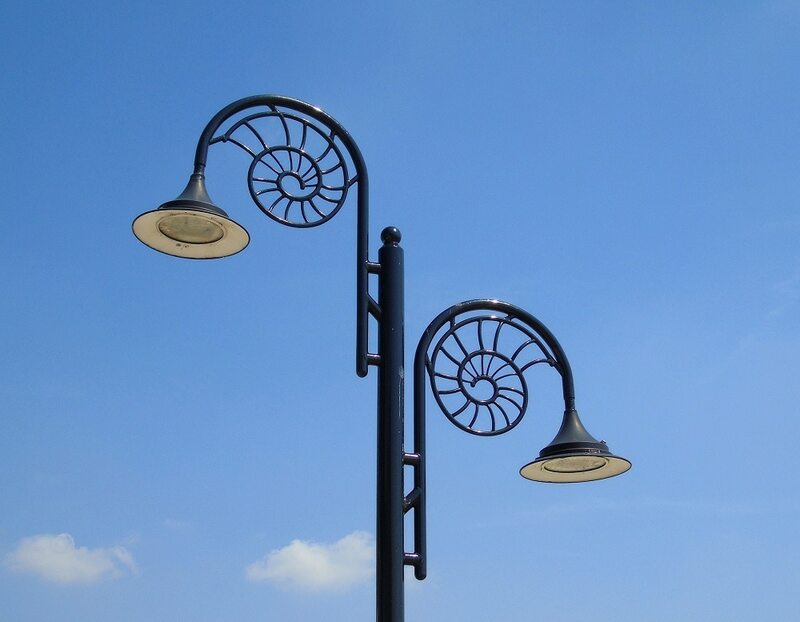 The street lights show that fossil hunting was an important part of Lyme Regis history. Adult admission to the Lyme Regis Museum is ₤4.95 (or included with your fossil walk). The museum does not have its own parking lot. There is a short stay car park right by the museum but it was full when we visited. Instead, we parked at Lyme Regis beach and walked over. I can’t complain though, it was about a 20-minute walk along a beautiful beach. In England, it is technically illegal to take rocks from the beach. Many tourists don’t realize this and it has put some in awkward positions like recently in Cornwall. Considering that the Jurassic Coast is a UNESCO World Heritage site, I was a little surprised to learn that you are actually encouraged to find and take fossils. The thinking is that if the fossils are not collected they will be destroyed by the sea. The one thing you should not do is hammer on the cliffs though. These cliffs are already prone to mudslides, so it can be dangerous. There are fossils all along the Jurassic Coast. We went fossil hunting on East Cliff beach, which is east of the town of Lyme Regis. It may be the best place to find fossils in Dorset. Charmouth Beach, a little further east, and Monmouth Beach, west of Lyme Regis, are also popular fossil-hunting spots. The best time to find fossils is after a bad storm. Professionals do most of their fossil-hunting expeditions during the winter when the weather is bad and the crowds are gone. The rain and rough surf will expose the fossils. If you go after a storm, be particularly careful of the cliffs. The cliff-face may be unstable and more prone to collapse. People have died from rock slides from these cliffs. Charmouth Beach is also known for it’s fossils. 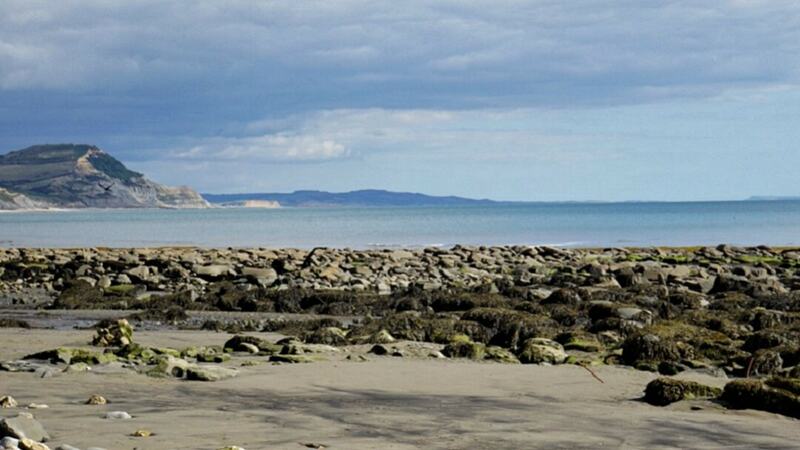 You should also check the tide times when planning your fossil hunt. It’s a good idea to start after high tide so that the tide is going out during your walk. That way you don’t risk getting stranded on an island created by the high tide. Ammonite is an extinct marine mollusk. It has a spiral shape shell which resembles a ram’s horns. Vertebra from either a Pliosaur, Plesiosaur, or Ichthyosaur. 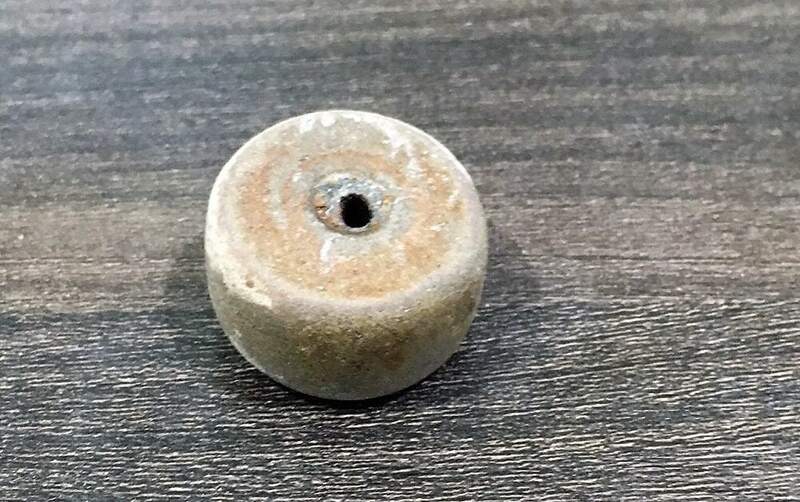 This looks sort of like a hockey puck with an indentation or small hole in the center. 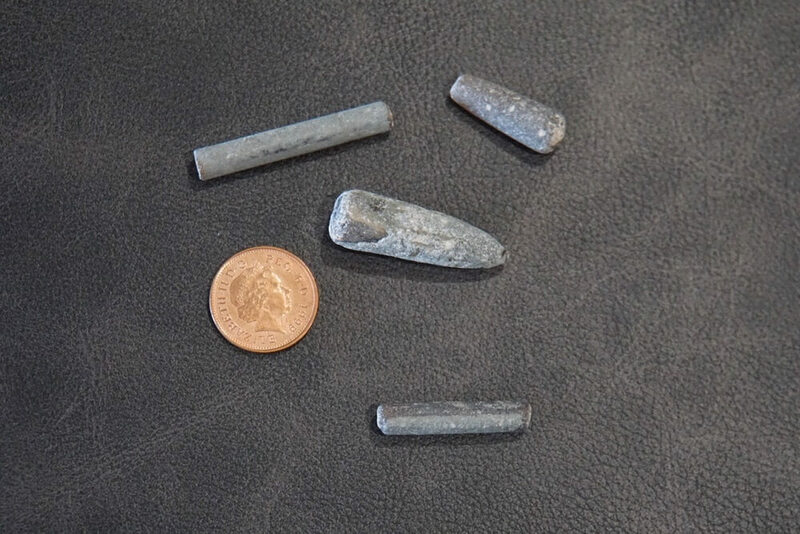 Belemnite is a creature similar to squid. Their fossils look almost like the thick lead from a pencil. Sometimes you will find a tube section while other times the part you find might have a tapered point. Poop. Yes, I said poop. I am not making this up. Our tour guides showed us some fossilized poop. They said it was most likely from a plesiosaur. To me, it looked like a random rock. I wondered if other rocks I had seen were actually poop? Belemites we were given on the fossil walk. Coin is added for perspective. Fossilized poop is one of the types of fossils you might find on the Jurassic Coast. You don’t need to bring any special fossil hunting equipment when you go on the tour. Your guides are well-prepared. If you do decide to go on your own, you may want to bring along a few tools for fossil hunting. Our guides told us not to use a regular hammer like the one you have at home, but instead, use one like this that is designed for fossiling. If you plan on using a hammer on the rocks, it is smart to also bring safety goggles. You don’t want a little piece of rock to fly into your eye. That could be painful and cause some serious injury. It’s a good idea to bring a bag to put the things you find in. A reusable one (like this) that can go over your shoulder might be easiest. Also, be sure you wear appropriate shoes. You will be walking on a beach with a lot of rocks. If possible, I recommend driving to Lyme Regis as public transportation options in the area are limited. It takes about 3 and a half hours to drive from London. If you choose not to drive to Lyme Regis, you can take the train from London Waterloo Station to Axminster and then switch to either the X51 or X53 bus. It will also take around 3 and a half hours to get to Lyme Regis on public transport. To save money on the train fare, book in advance and choose a specific train time. Click here to check the schedule and prices. I would love to go fossil hunting in Dorset again! Overall we both enjoyed fossil hunting in Dorset. It was exciting to be searching alongside true experts – both Chris and Paddy know their stuff! They had a lot of information to share with us, but I wish we could have gotten to the actual fossil hunting sooner. I was thrilled to find my fossil but not everyone on the tour did. It was nice that Chris and Paddy found extras so that everyone on the walk had some fossils to take home. I don’t think I would have been able to find a fossil on my own. Although, now that I have done the tour, I feel confident I could go back and do fossil hunting on the Jurassic Coast on my own. I may still need an expert to confirm my findings though! If you are thinking of trying fossil hunting in Dorset, I would recommend joining one of the fossil walks from the Lyme Regis Museum. You will learn a lot and Chris and Paddy will make sure you don’t go home empty-handed. For ₤12 per person, I think the three hours tours are reasonably priced. Have you ever done any fossil hunting trips? What did you find? Try to plan your fossil hunting time for when the weather is bad! 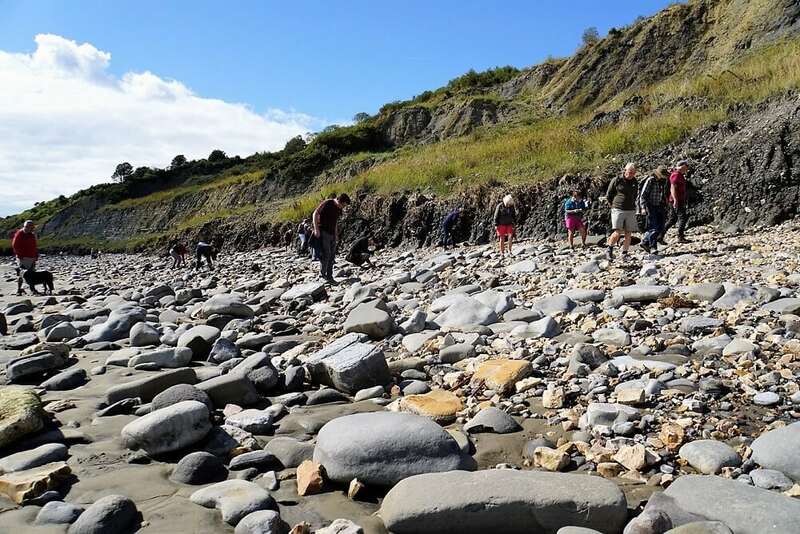 Consider doing one of the Jurassic Coast fossil walks if it is your first time. You should keep your distance from the cliffs because there is a risk of a landslide. Do not try to get fossils from the cliffs. Check the tide times before going out to fossil hunt. It’s best to do it as the tide is going out. If you are planning a beach vacation, be sure to check out my packing list for the beach. We are happy to co-host the Weekly Postcard Linkup. Everyone is invited to join us and share their travel blog posts here beginning at 12 p.m. (PST) / 8 p.m. (GMT) Friday, October 5th. For those of you that have not done a linkup before, please check out our frequently asked questions about the Weekly Postcard. Feel free to reach out to us if you have other questions. Yes, it was nice to have real experts with us. I hope you get the chance to try it. Yes its a great activity for kids. I was so excited to have found one. I think a few people had a laugh at my expense with the wheel! This is a great guide!! I always wanted to do this. Now I think I am going to wait until my little boy is a little older so we can do this together. It will be a fun adventure! Esther – Thank you! Yes, it is a great thing to do with kids. You will both love it! So glad you managed to find a fossil! I’m from the UK and love reading travel posts about people exploring our country. This was one of my fave things to do when we went on holiday to the seaside as a kid, I had no idea they actually did tours. Thanks. I was so happy I found one. Glad to hear this brought back memories. I have been exploring the UK a lot (and loving it) since I just moved here last year. Isobel – We had so much fun, I am sure you would love it. 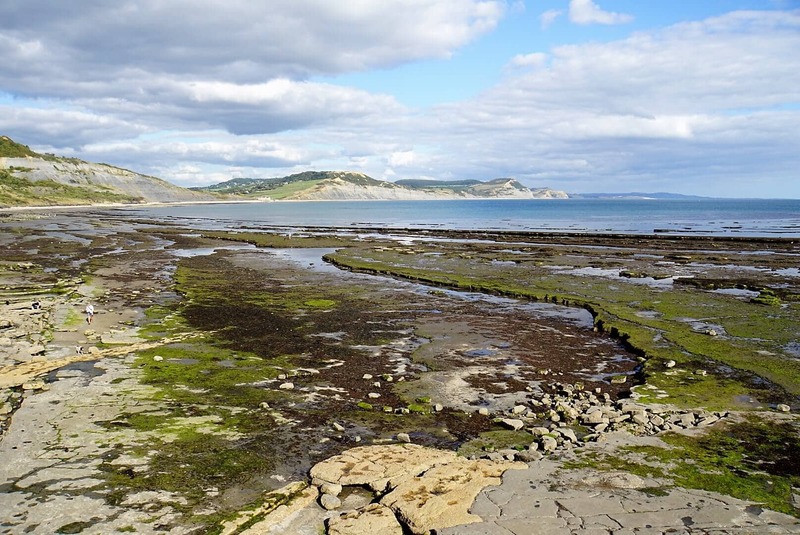 Suzy – I really enjoyed fossil hunting and I loved Lyme Regis. Did you get to go fossil hunting while you were there? Fossil hunting sounds like an excellent way to spend the day. Good to read that you didn’t have any cliffs fall on you! We have a UNESCO fossil site here in Nova Scotia, too. It’s called Joggins. I visited years ago, and it was fascinating. I must go back next summer. Nancie – We had so much fun fossil hunting. 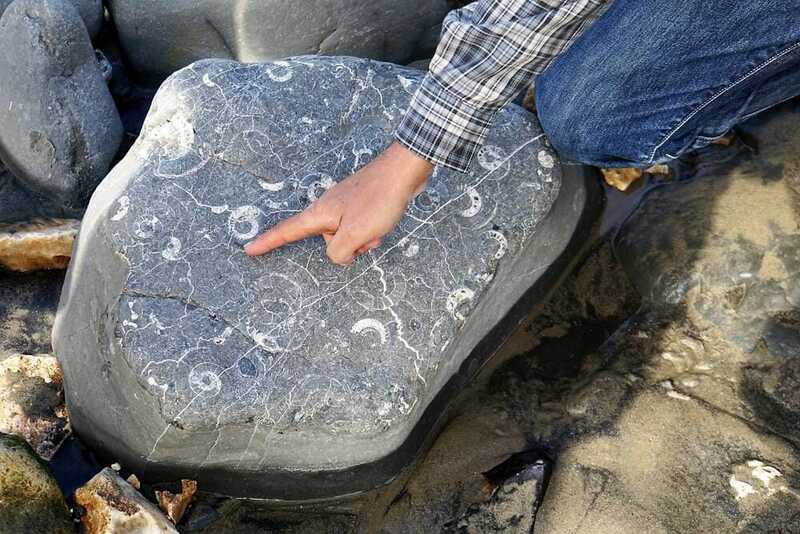 Nova Scotia is on my bucket list so will have to try fossil hunting there when I go. Thanks for the tip! Haha yes when he told us it was poop I thought he was joking at first. Unbelievably cool! Our family would love this. Thanks for the inspiration! Bea – I hope you guys get the chance to do it. We had a great time. Dagney – I think it helped that we went with experts. I would love to try it in other places like the Isle of Wight. I’m still cracking up about the cart wheel. 😂 something like that would happen to me. This seems like a pretty cool adventure. Memories to last a life time. Haha yes! My husband still jokes about it too. Although I tell him, you thought it was a backbone too. Thanks Catherine. Yes, I was glad we went that route. Lolo – Yes, we had a great time and I was happy with my find at the end of the day. Thanks Deborah. It was a lot of fun, and yes we are glad we took the tour! Wow, I can’t believe they let you take the fossils. It makes sense, like you said, the ocean would wash them off the shoe anyway, but still. It is so cool though, I’d love to do it. I’ve never heard of the Jurassic Coast, maybe somethign to check out for our next overseas trip. 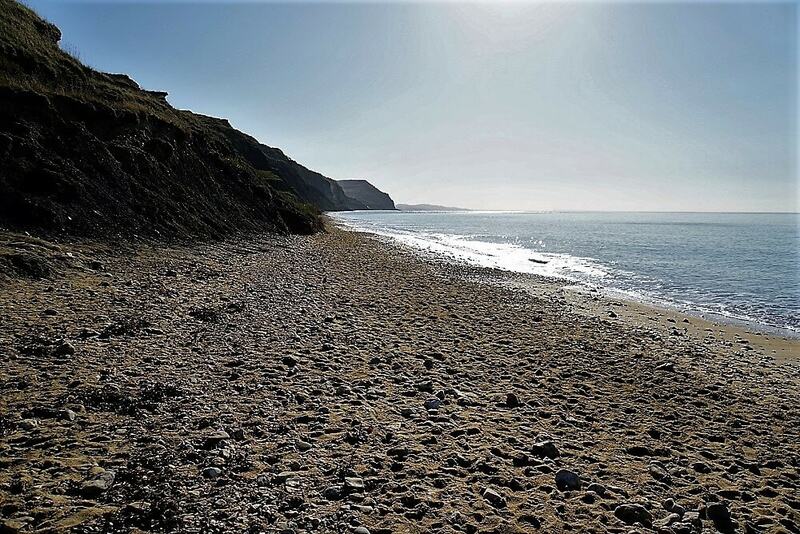 Emese – Yes, you would love the Jurassic Coast. It is a beautiful area and there is so much to do. More coming up on the blog. Kimberly – I love looking for shells too. It’s a similar experience, so you would love it. Thanks to the movies, I wonder how many people thing the Jurrasic Coast is in Hawaii. Ever since reading about the area, though, we’ve wanted to go try our hand at being fossil hunters! Only, we didn’t know then that there’s a fair chance the rocks we pick up could be poop. I guess it’s a risk you have to take, right? 😉 Great guide, Anisa – hope we can put it to use soon! Haha Rob, glad you enjoyed the post. No one found any poop during our tour, but yes it is possible. This sounds like such an amazing experience! 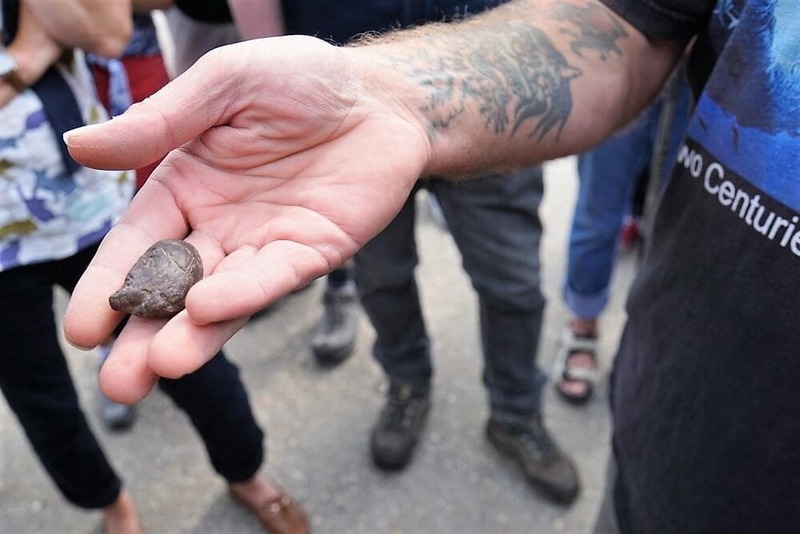 I would love to do this tour but, like you, am amazed that it’s okay to take fossils from the beach. We’re not even allowed to collect shells over here in Israel. Lisa – We did really enjoy the tour. I hope you get the chance to try fossil hunting!